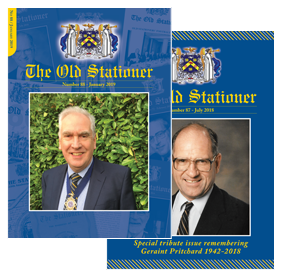 On Friday March 29th our AGM at The Hall was attended by 39 members who approved the minutes of our last meeting and endorsed the committee members nominations for 2019/20. No questions were raised from the floor and the meeting was closed in record time at 5 47 pm. 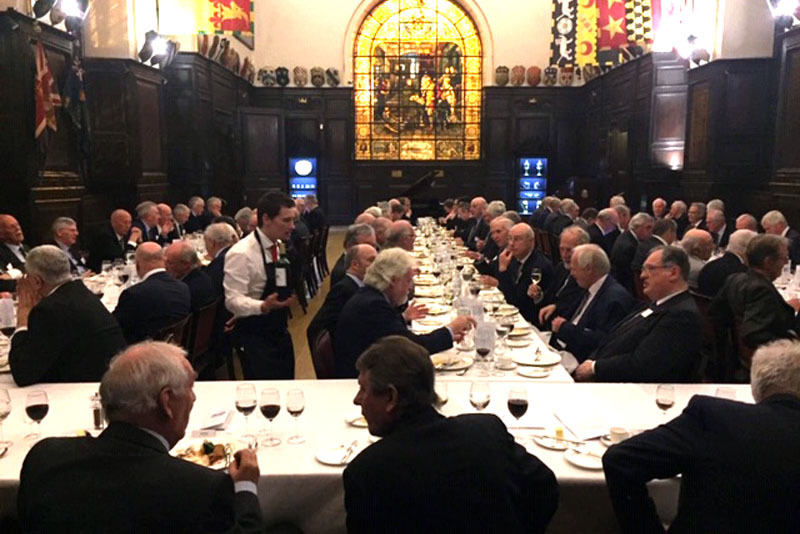 A total of 97 members and guests then convened for pre-prandial drinks before sitting down to enjoy a sumptuous meal of salmon, duck breast, and sorbet. 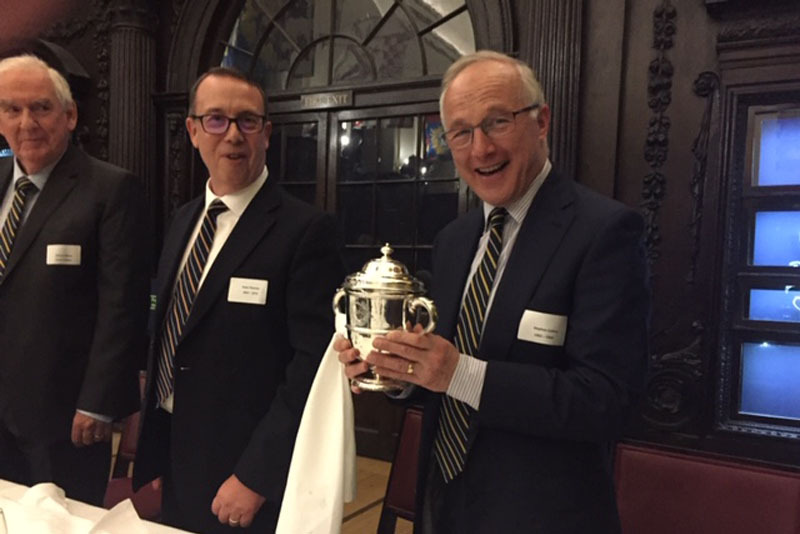 Peter Bothwick our new Toast Master then introduced our guest speaker Ed Winter who leant heavily on a Brexit theme for his speech. 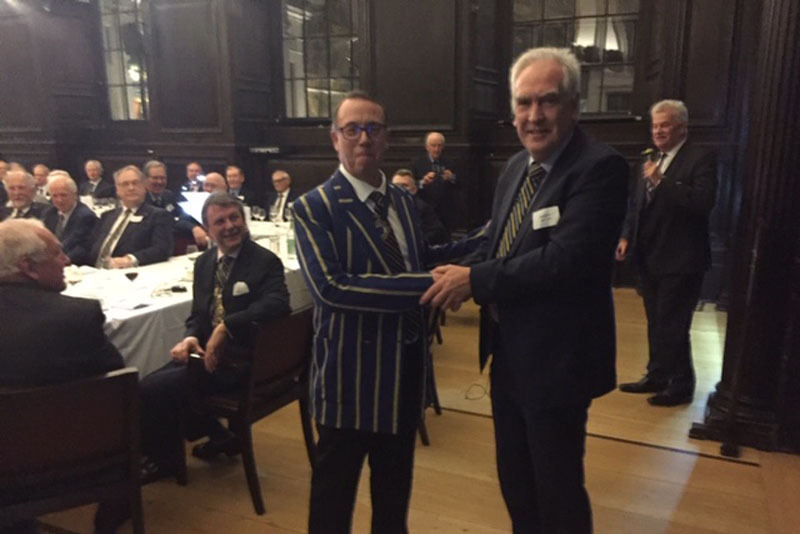 This was followed by a response from David Allan, The Master of the Company and finally a farewell speech from Peter Winter, our outgoing President. Concluding the proceedings we heard a rather tuneless version of the OSFC ancient anthem from Colin Munday then a rousing chorus of the school song and finally the national anthem. Those with stout constitutions adjourned to the Cockpit for a nightcap before leaving to catch trains, buses or Ubers home. Click on the magazine covers to see a digital sample of a recent OSA magazine. If you are a member of the OSA you can access all magazines published by the school and OSA since 1884 by going to the Library section of this site and following the instructions.